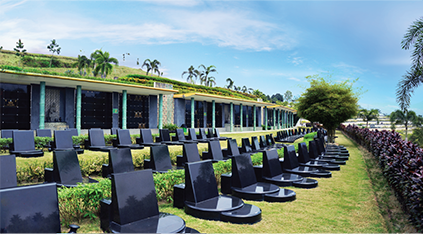 Within our well landscaped grounds, we offer a wide range of BURIAL PLOTS - Standard, Double, Family and Royal Plots - that can be customized with special designs. 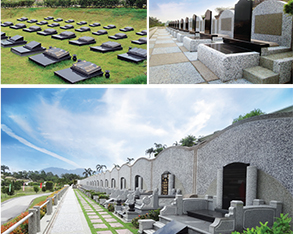 Additionally, there are also BURIAL NICHES, PREMIUM NICHE PLOTS, and various selections of niches within either internal or external specially designed columbaria. In our Di Zang Wang Crystal Temple, we have ANCESTRAL AND LONGEVITY TABLETS for your ancestors and for the living.